From India and England to America's Deep South, Mid-Atlantic and now Pacific Northwest regions, Kiran enjoys getting to know new places and new people, especially Philanthropy Northwest’s diverse membership. As CEO, Kiran relies on her phenomenal staff, board and the collective passion of the organization to serve this region, and engage and push the field of philanthropy in new directions. 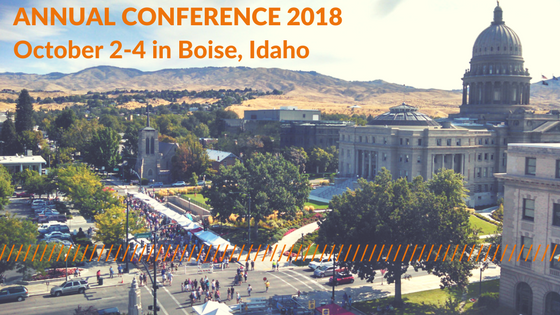 Annual Conference 2018 will be in Boise, Idaho! Join us October 2-4 for the largest gathering of Northwest funders and regional investors. We can't wait to connect with you in Boise, Idaho. The People’s Institute for Survival and Beyond is a collective of anti-racist community organizers and educators committed to building an anti-racist movement. Founded in 1980 by Ronald Chisom and Jim Dunn, the organization's national office is based in New Orleans, Louisiana. The People’s Institute Northwest supports and coordinates Undoing Institutional Racism (UIR) workshops as well as providing technical assistance and organizing support to community based organizations, educators, social service agencies, government, faith based organizations, prisoner organizations, coalitions for social change, and youth groups. The CDC estimates that the number of Ebola cases could reach 1.4 million within just four months, in a worst-case scenario. It is a potential catastrophe of stunning proportions - but it is also a disease outbreak that can be contained with swift, coordinated international coordination among governments, NGOs and communities. What can and should Americans be doing to prepare for and to address the implications of this crisis? How will current funding be used, and what are the funding gaps?